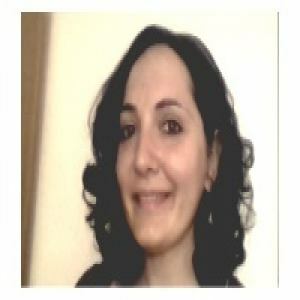 Stefania has been teaching Italian as a second language since 2005. She is an avid world traveler. She has visited or lived in the following countries: UK, France, Spain, Portugal, Sweden, Denmark, Germany, Belgium, Switzerland, Serbia, Croatia, Montenegro, Czech Republic, Greece. Italian, Japanese, Thai, Persian, Ethiopian. Stefania was born in lovely Southern Italy. She has an M.A. 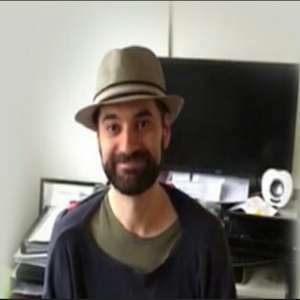 degree and a PhD in Foreign Languages and Literatures and has been working as an Italian teacher for many years. She also taught languages at the Università Degli Studi di Bari for four years. 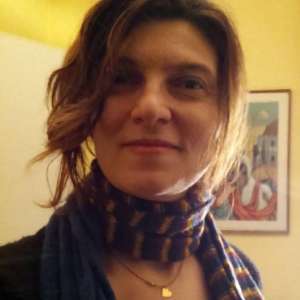 Additionally, she works as a translator of marketing and literary texts and has translated into Italian a number of books that have been published in Italy. She is into Italian cuisine, cinema, pop music and literature, and likes singing, playing volleyball and writing poems. She can teach Italian to teenagers and adult learners of all levels. I have a functional view of the language and I always tend to focus more on developing the communication skills of the students than on grammar (which still remains fundamental). That means trying to get to the answer together with my students, eliciting their opinions and observations, discovering together with them the possible "key" to a specific linguistic challenge. Learning a language entails discovery, broadening one's horizons and delving into another language and culture... Therefore I think not only is it useful for traveling, but it is a way of traveling in itself. Music, cinema, cuisine, reading novels and poems, writing poems, volleyball, singing.